Julia Sweeney was born on October 10, 1961 in Seattle, Washington, USA. The oldest in a family of five children, Julia quickly found a talent for imitating voices and characters. After successful appearances in high school plays, she decided to put aside acting while she keep on her economic studies at the University of Washington. After she graduated she moved to Los Angeles to work as an accountant for Columbia Pictures. Once there, she decided on a whim to sign up for classes with the improvisational comedy troupe The Groundlings. It only took one class to convince her that acting was her true calling. At a Groundlings performance, she was discovered by "Saturday Night Live" producer Lorne Michaels and she stayed for four seasons. A few months after leaving the show, her brother, and then herself, were diagnosed with cancer. Her experiences led her to write and star in the critically acclaimed one-woman play "God Said Ha!" The film version of the play earned the Golden Space Needle Award, while her recording earned her a Grammy nomination for best comedy album. 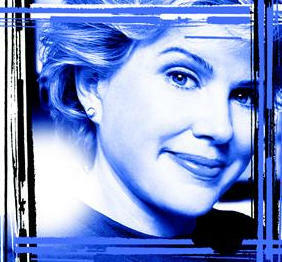 Julia Sweeney currently resides in Los Angeles and continues to perform standup. 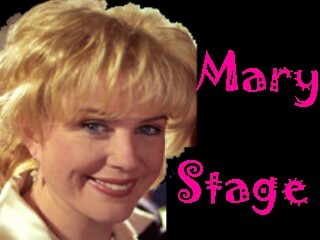 Julia Sweeney is Mary, Molly's mom. She likes to go to Garage sales and buy things when they are at a good price. She has thousands of knick-knacks. Be careful, if Mary gives you an advice don't do as she says, because most of the time her advices aren't the bests ones. She is funny and crazy and no matter what happens she will always look after her family.